Free Shipping Included! Reed & Barton Hampton Court Infant Feeding Spoon by Reed & Barton at Time For Everything. SKU: RBA2272. MPN: 735092035295. Hurry! Limited time offer. Offer valid only while supplies last. 735092035295 Features: -Infant feeding spoon.-Designed with bordered.-Material: Sterling Silver.-Dishwasher safe. Color/Finish: -Silver color. 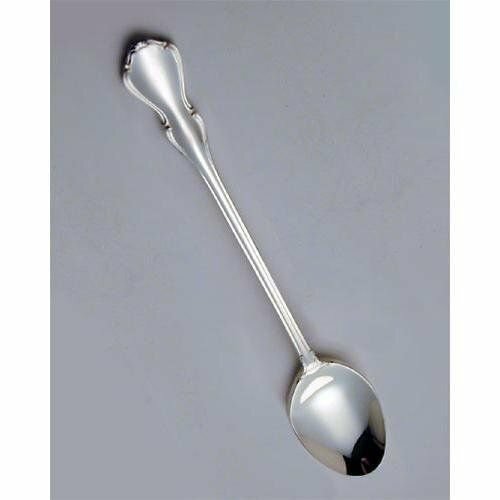 735092035295 Features: -Infant feeding spoon.-Designed with bordered.-Material: Sterling Silver.-Dishwasher safe. Color/Finish: -Silver color. Collection: -Complements the Children Flatware collection.